Spring is yet to sanctify the barks ravished by harsh winter. Warmth is still in infancy to let the buds bloom. Fragrance has not yet corked out its aroma to mesmerize the valley suffering from unknown disease, but the Bulbul that was invited by desert birds has arrived with a new ballad on its lips written by the Court poets for inconsequential means, composed by ‘silvery musicians’ amid ‘yes-men’ of political pundits in their cozy glass houses situated at the bank of murky river that persuade their lust for power and penetration. These so called representatives of the people often during laid-back walk in their bejeweled balconies derive pleasure from common sufferings but celebrate the show by tossing and touching their goblets in close proximity to cheat ‘AamAdmi’. Like before this ‘AamAdmi’ knows all, yet maintains silence for silence in this vale is the long pending project for want of a taker. One that we wish to sing is the same that knows nothing about music and the one that knows how to compose doesn’t have a singer to attract the audience. New impulse that has been injected deep into the veins of Bulbul to promote the newly ballad to bash the valley, has enriched the wings of this old Bulbul for it has given its consent to dance on the jerks of Court poets. Pitching the ballad, the Bulbul has already motivated orchards to set a podium for the rest. The kind of energy that has been stocked up under the fragile wings of Bulbul encourages him to soar in the Blue and to meet the spring season before it blesses the mother earth. May be new tulips and sunflowers would find proper places in the newly chosen gardens of isolation, where every moment is wrapped with anxiety and anguish, where every day graveyards demand mortal food, where every night the moon scans the unknown ail and where stars mock at us for being misused and misinterpreted. The ballad may find its influence on the pellet victims as an immediate aid but in the long run, who knows this ballad may find more deaths and devastation, as most of the people who risked their will to keep Court bards at bay, might soon find them on the judgment seats. 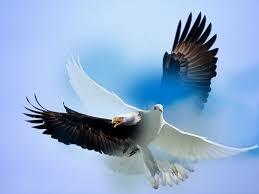 Or it may happen that eagles and doves may find a common narrative to grab the attention of the summer. It is also possible; possibility in this vale is a mega star that performs without script and song- that a dove from dreamland may find a thatch under the nest of an eagle. This unique acquaintance too is possible to think of progeny. For in vale father leaves his son to rule and a daughter to destroy the ruins of ancestors. The melody, feel and flavor of the ballad reside on made-up rhyme, substandard rhythm fixed forcefully to adjust assonance to be abreast with alliterations and personifications. Cliché and conceits are in abundance, few traditional symbols have been broken into fragments to add confusion. Ambiguity has been specially placed to shelter hidden agenda of bards who otherwise claim universal concern. These mechanized verses of the most horrible adjectives have unfortunately found apt metaphors and slothful comparisons. The ballad has many undefined verses left out without proper punctuation marks, but some sensitive refrains have been placed in parenthesis to suit the future demands. To seal the mouth of critics and art admirers, folk touches and religious zeal has been unwillingly added which unfortunately has created unimaginable gulf, hard to plug and difficult to survey. Old refrains and conventional imagery too has been tempered and tormented for the reasons to calm down the doves of the dale that otherwise may join the vultures to expose the bards who in public domain are considered as messiahs of peace and prosperity. Keeping in view, the rest of the birds of the vale are languished for want of energy which has been exhausted due to protracted winter and division of opinions. They have been singing old melodies of Mehjoor, the romantic Ghazals of Rasool Mir and laments of Heer, but their audience too has somehow provided space for the ballad that has been copied from the other sources. To this treason, these poor creatures rove around to perch on old branches already pruned by amateur gardeners. Some old birds in their fanciful thinking may consider the Bulbul as reincarnation of Phoenix, the mysterious bird which burnt itself to death after every five hundred years, then rises anew from its own ashes to serve the love as model. But God knows how many agreements and ‘Instruments’ might have been signed during the candle light dinner to attract the masses by introducing the ballad with many ballets and bullets in track two diplomacy. The theme of the ballad may be growth, vicissitude and quintessence in appearance but, one has to wait and watch how this old Bulbul of the vale shall abate the burden of ‘AamAdmi’ and one has to keep a vigil on the development which may squeeze our own resources already placed at the brim of extinction by previous vultures in the disguise of doves. The under current meaning and state of mind of the Court poets must come at fore before the plagiarist produce a ballad and gets a legal go. This modified ballad with its every verse may bring curse to already cursed vale of woes where legal and authentic consents have been tempered beyond repairs in private houses to meet the requirements of our politicians who promote drafts prepared by desert vultures and cunning foxes to defame democracy. This half-hearted script shall only encourage suppression and subjugation of minorities under the garb of nationalism. The birds may return to their nests before the dusk to let the night rule the desert and to let the travellers astray but then who will guide a common man when the guidance springs from rotten mind.